The knee joint consists of the two longest bones in the body: the femur and the tibia. 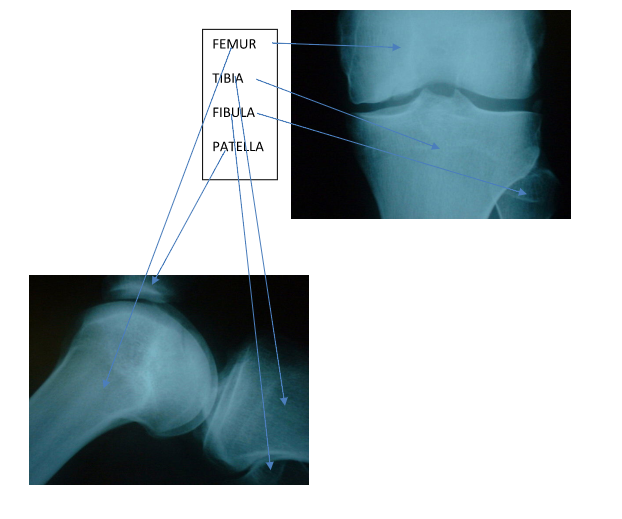 Two other bones, the patella (knee cap) and the fibula give mobility and support of the joint. Strong ligaments attached to the femur and tibia help with stability. The anterior cruciate ligament, posterior cruciate ligament, medial collateral ligament and lateral collateral ligament complex, play a role in this stability. If these ligaments are torn it can lead to instability, which may require surgery, although many individuals, get better with physiotherapy. Your Knee Doctor or Specialist will give you more information. The large and strong thigh muscles give the knee strength, and play a role in ensuring the patella (knee-cap) glides normally when you bend and straighten the knee. If there is an imbalance between the muscles (quadriceps, hamstrings) and within the muscles themselves (VMO and other quads muscles), then patients can develop pain. The surface of the joints where these bones come in contact is covered with a special cartilage called articular cartilage , which provides a low-friction, shock- absorbing surface. Healthy cartilage allows the bones to slide smoothly over each other with little friction during normal movement. Another type of cartilage is called the meniscus. Each knee has 2 semi-circular menisci, which also distributes weight evenly throughout the joint, reduces wear, acts as a shock absorber and helps with balance. If these are torn they do not heal very well and often cause, pain, instability and swelling. They often need surgery. Your Knee Doctor or Specialist will give you more information. Ask your doctor / specialist for more information if required, when you see him.